An ISIS terror cell of more than a dozen suspected operatives was able to execute two large-scale attacks in major European cities in the span of four months in part because Europe is stuck in a “pre-9/11” security stance in which countries share borders, but little critical intelligence, a senior lawmaker and terrorism experts told ABC News. 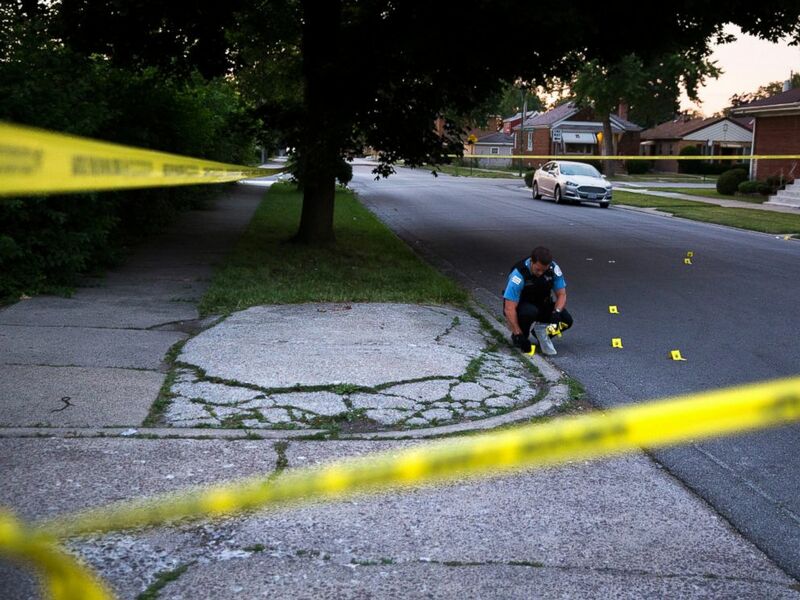 “What I saw looked like the U.S. on Sept. 10, ,” Sen. Angus King, a member of the Senate’s Select Committee on Intelligence, told ABC News Wednesday. The Independent from Maine was traveling in Paris with other members of the intelligence committee when the Brussels attacks occurred. Of the at least four suspected attackers in the Belgium tragedy, which claimed 31 lives, three were known to authorities at some point and suspected of links to terrorism. The fourth man is the subject of an ongoing manhunt and has yet to be identified. Police said this morning they’re seeking a fifth potential suspect. 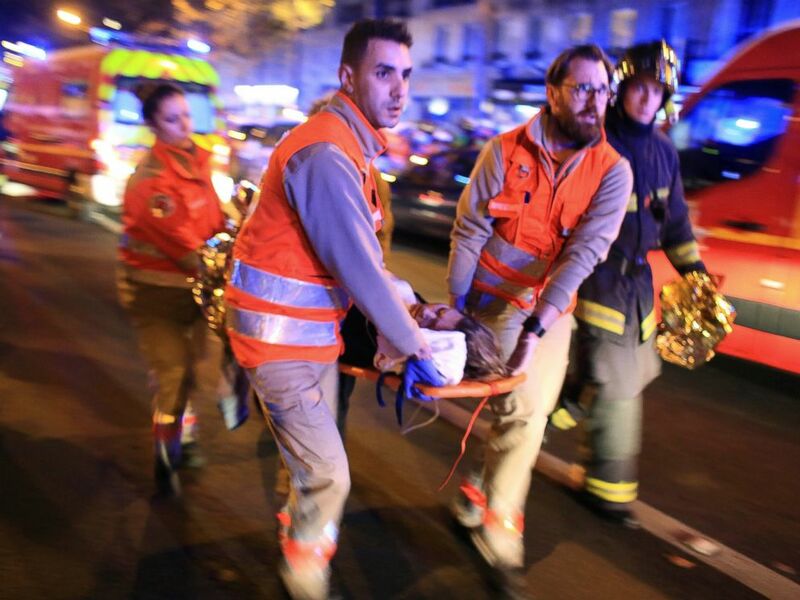 More than 10 others were suspected of being involved in the attacks in Paris in November that killed 130 people. 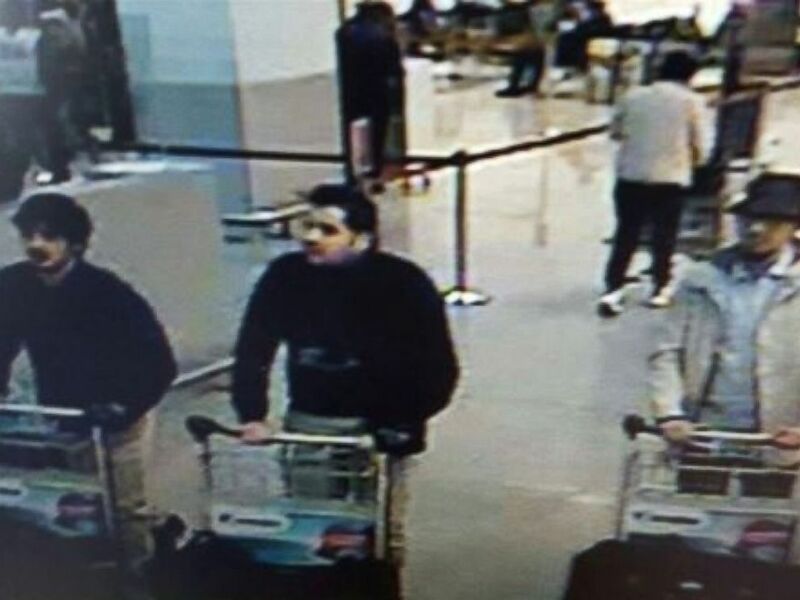 An image made from a security camera and released on March 22, 2016 by the Belgian federal police shows what the police say are possible suspects in the Brussels airport attack. Wednesday authorities in Turkey revealed that one of the Brussels suicide bombers, Ibrahim El-Bakraoui, had been caught on the border with Syria last summer, was deported to the Netherlands and allegedly flagged to Belgian officials as a potential terrorist. Another bomber, El-Bakraoui’s brother Khalid, was the subject of an INTERPOL Red Notice that said he was wanted on charges related to terrorism. But when Belgian officials described the brothers to reporters after the Brussels attacks, they said the two were only known to them as petty criminals. The third suicide bomber, who authorities said late Wednesday they believe they have identified as 24-year-old Najim Laachraoui, had been wanted by authorities since the November attack in Paris. Authorities said Laachraoui had left for Syria in 2013. In September 2015, two months before the Paris attacks, an individual using one of Laarchraoui’s aliases was spotted in a car with another Paris attacks suspect, Salah Abdeslam, on the border between Hungary and Austria. 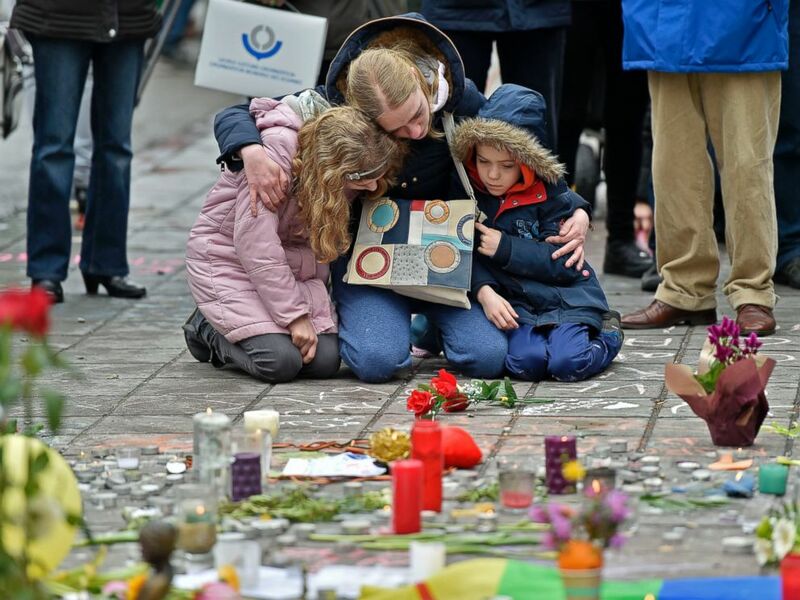 A woman and children sit and mourn for the victims of the bombings at the Place de la Bourse in the center of Brussels, March 23, 2016. Nada Bakos, a former CIA analyst, also likened Europe’s intelligence sharing to a “pre-9/11” way of thinking, referring to failures by the CIA, FBI and other federal agencies to share information about suspected terrorists in the U.S. before the al Qaeda attack on the World Trade Center and Pentagon that killed 3,000 Americans. But she added that Europe is facing two additional major hurdles: the number of suspected ISIS sympathizers and the fact that Europe is made up of sovereign nations who are unlikely to cede intelligence control to other countries. Belgium is in a particularly precarious position, according to a senior U.S. official read-in on the Brussels investigation. The official said the relatively small size of the security services and bureaucratic infighting makes U.S. intelligence officials dread dealing with the Belgians. When it comes to ISIS supporters, more foreign fighters from Belgium are thought to have gone to Syria and Iraq to join ISIS and other groups per capita than anywhere else. A woman is evacuated from the Bataclan theater after a shooting in Paris, Nov. 13, 2015. Sean Griffin, a former senior official in the counter-terrorism unit of the European law enforcement organization EUROPOL, noted that Belgium has a number of law enforcement agencies, at a Local and federal level as well as national intelligence agencies, and that coordination between just those entities — not to mention agencies outside Belgium — is very difficult. In the wake of the November attacks in Paris, Belgian Justice Minister Koen Geens said that it was a clear a “European CIA” was “urgently needed.” The interior ministers of several European nations got together where the idea of a “European intelligence agency” was once again floated by a top European Union official, but the proposal went nowhere. In the end, each country agreed to share information better. Griffin, now an ABC News consultant who spent 11 years at EUROPOL, said he didn’t believe a “European CIA” is necessary, but he said countries need to try and work together to leverage EUROPOL’s information sharing capabilities for intelligence, rather than just law enforcement. EUROPOL did establish the European Counter Terrorism Centre (ECTC) at the beginning of this year. Griffin hopes that this move will be more than just “lip-service,” but the organization is still in its infancy. “We’ve just got to get smarter about how we do things,” he said. Western security officials now fear that other ISIS cells could be lurking in other European cities and past arrests have shown suspected ISIS activity from Spain to Germany. Just hours after the Brussels attacks, the U.S. State Department released a travel alert warning Americans to be vigilant when traveling throughout all of Europe. Sen. King said that among intelligence officials in Europe, the threat of future attacks is considered inevitable. And he carries deep concerns about the potential for that threat to migrate across the Atlantic because of the freedom with which Europeans can travel to the U.S.
Next : Which Ex Did Shad Moss Just Blast on Twitter?